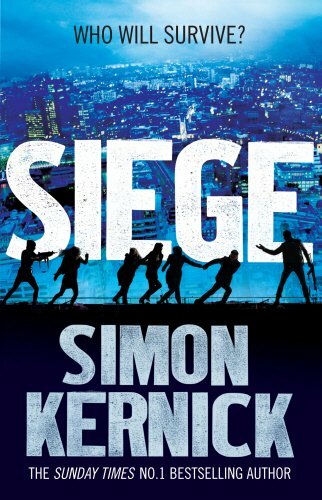 by Simon Kernick | Mystery & Thrillers | This book has not been rated. LONDON. THE STANHOPE HOTEL, PARK LANE. 16.00 A normal afternoon. Newly engaged Elena Serenko has just made the life-changing decision to quit her job and start a new life in Australia. Upstairs, a young woman waits for her lover; a visiting family prepare for an evening out; and a sick man contemplates his own mortality. High up amongst the penthouse suites, a skilled and dangerous killer is hunting a quarry who’s eluded him for far too long. What none of them know is that a group of ruthless gunmen are about to burst into the Stanhope, shooting indiscriminately, and seizing hostages. As darkness falls and the gunmen become increasingly violent, only one thing matters. Who will survive? Put into KaleLewin's Crime Bookbox!